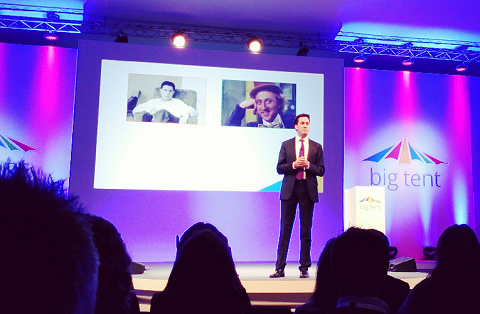 Ed is on his feet right now at Google’s “Big Tent”. He asks who is the odd one? Its you Ed, it is always you..
UPDATE: Does Ed need Craig Oliver’s televisual skills? No because no broadcaster is showing him. Ed's people let him stand in front of a picture of Willy Wonka. And there are people who think the Tories are the swivel-eyed loons.